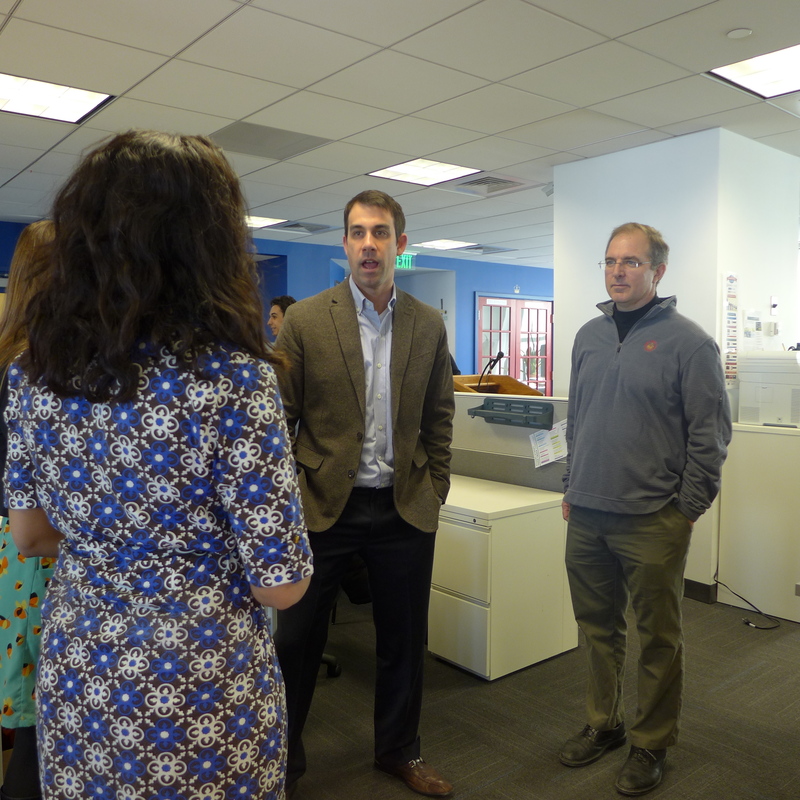 On February 12, Boston Mayor Walsh visited our home co-working space, LearnLaunch, to learn more about us, our edtech neighbors, and to encourage sustainability of technology in this space and city. He was joined by officials from Boston Public Schools including Chief of Staff Melissa Dodd, Chief Information Officer Mark Racine, and new Chief of Economic Development, John Barros. 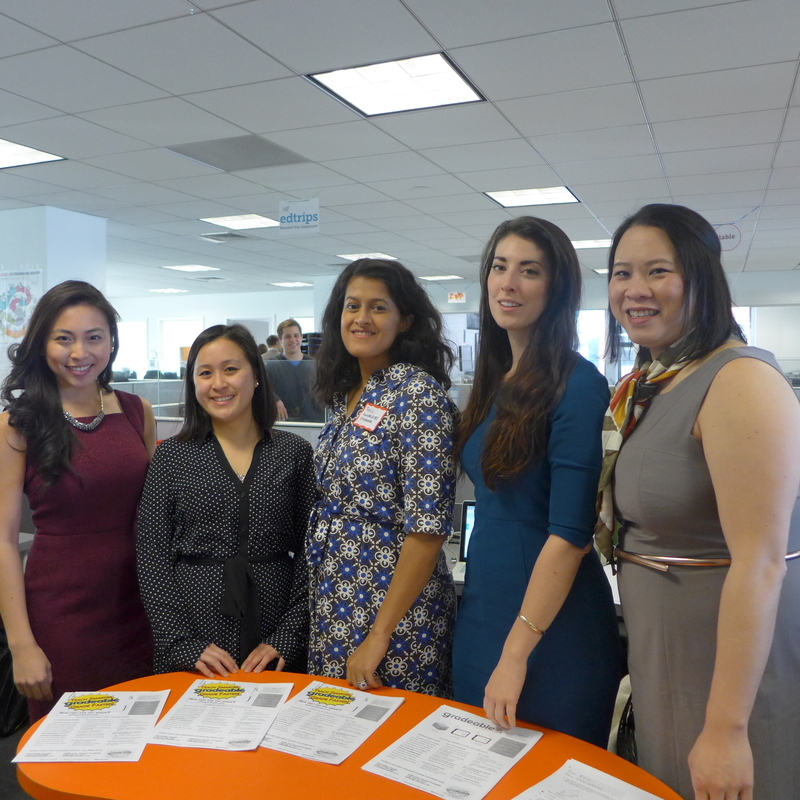 The Gradeable team was ready to talk to Mayor Walsh about how we can help impact student learning in Boston Public Schools—and all students everywhere! 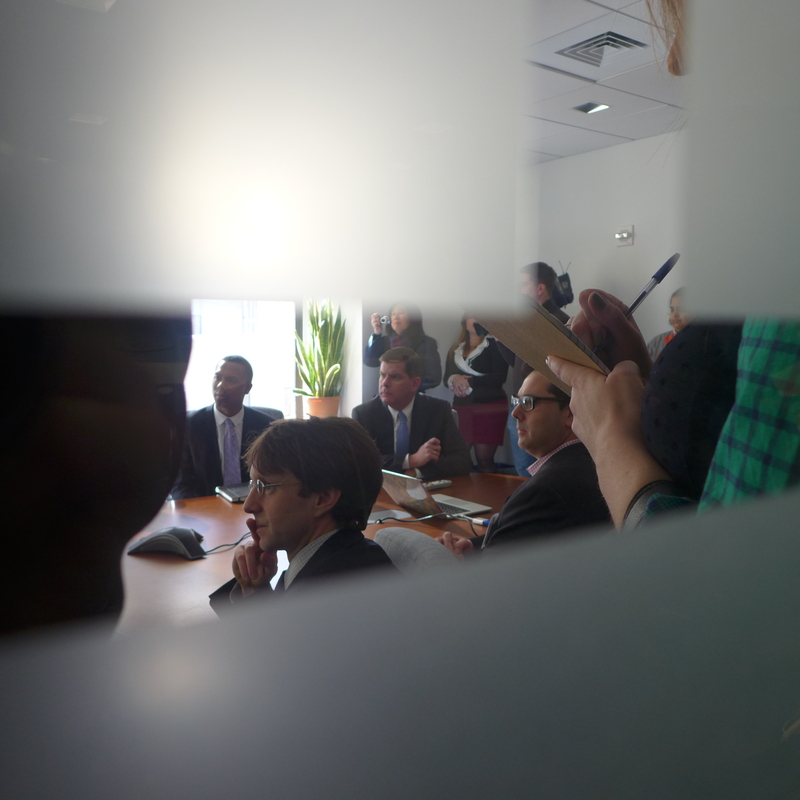 Others couldn’t wait to catch a glimpse! 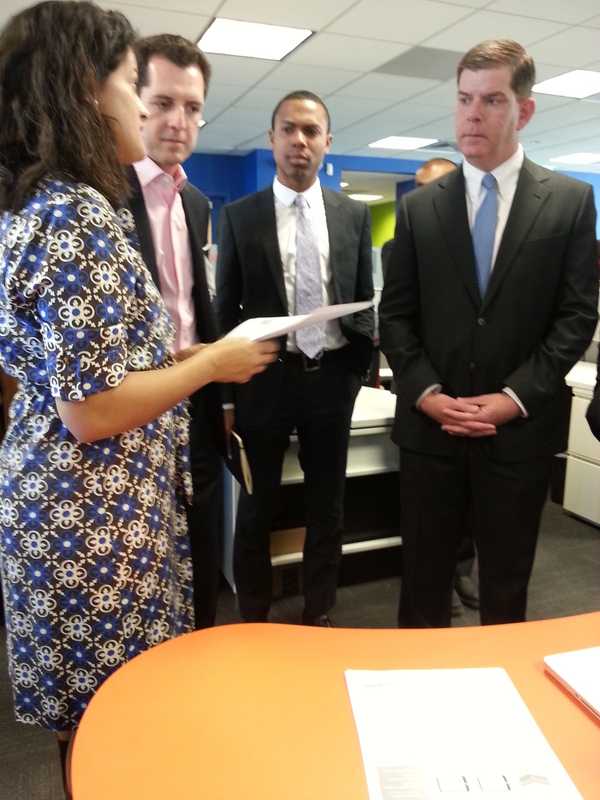 Parul gives Mayor Walsh the “elevator pitch” of Gradeable. The mayor responded saying that the nuns who graded his work in grade school with red pen definitely didn’t have something like Gradeable. 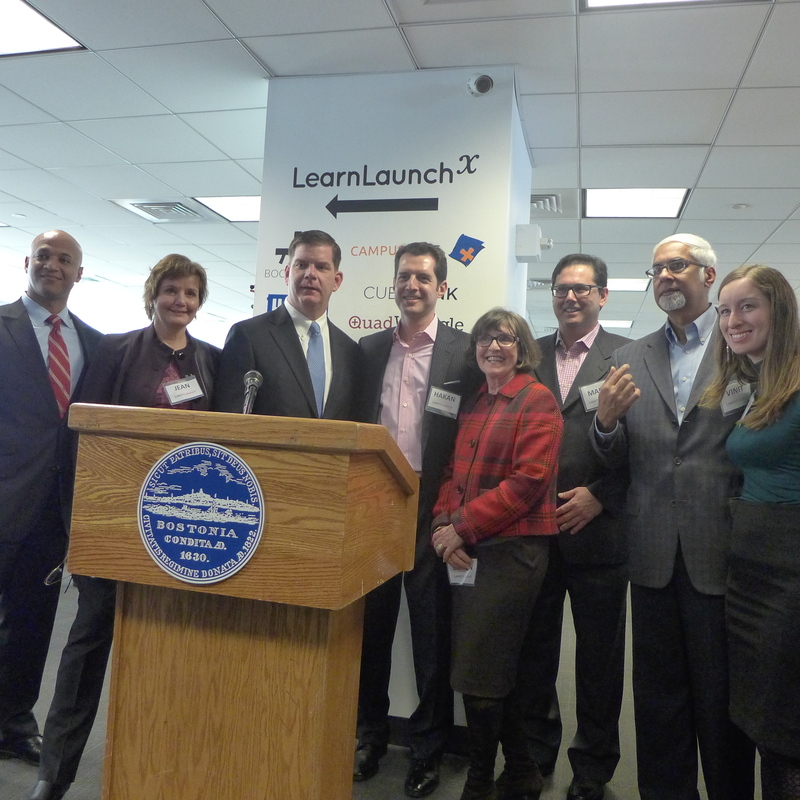 In his address to LearnLaunch, Mayor Walsh urged technology innovators in this very space to sustain their ideas and business in the city of Boston. 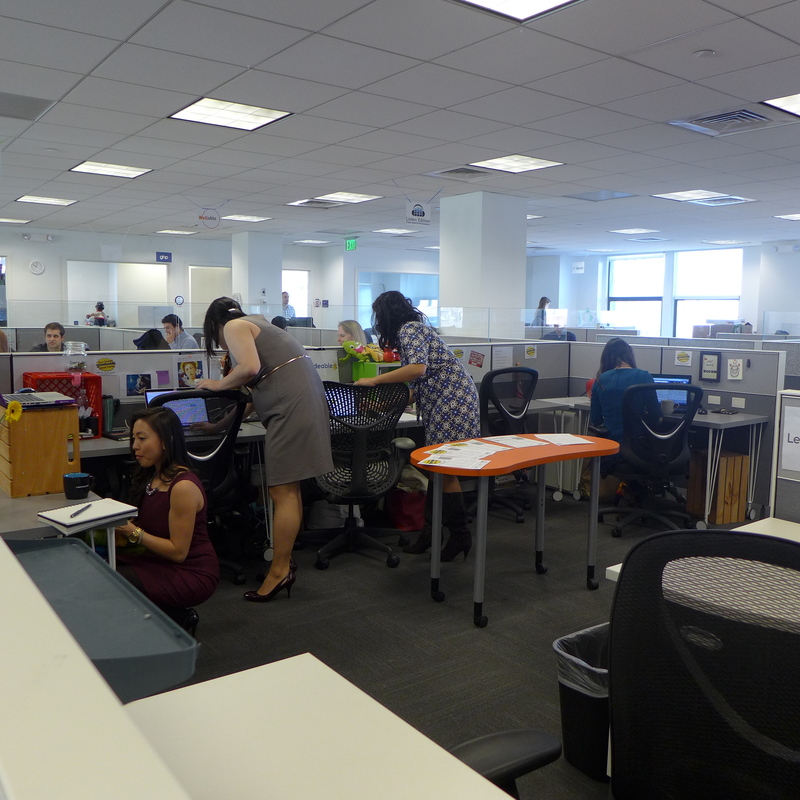 He stated that the future of Boston’s growth lay within this very room. 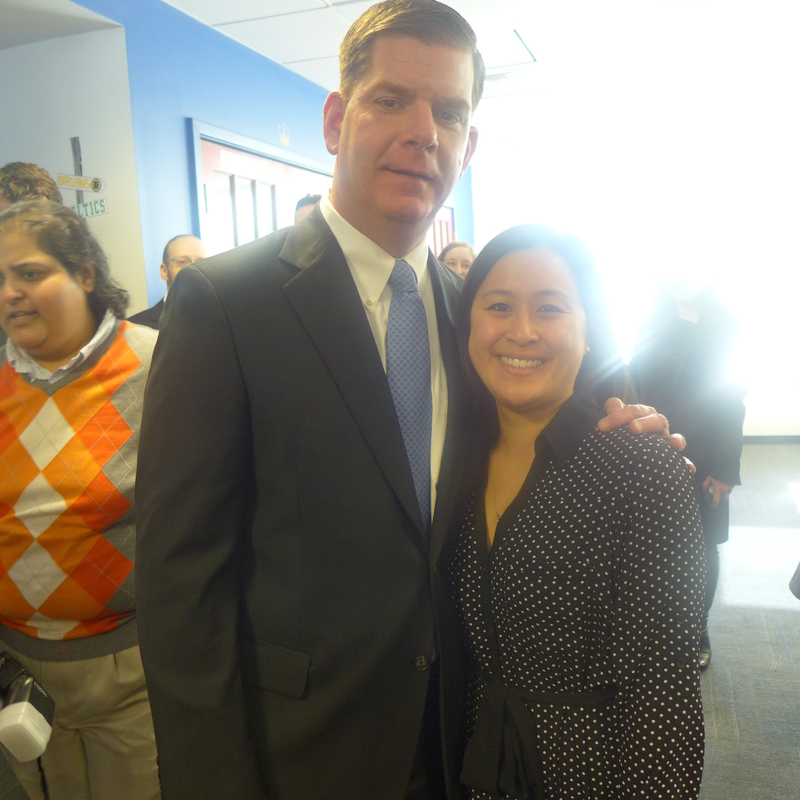 Blog Master Bon personally meets Mayor Walsh. 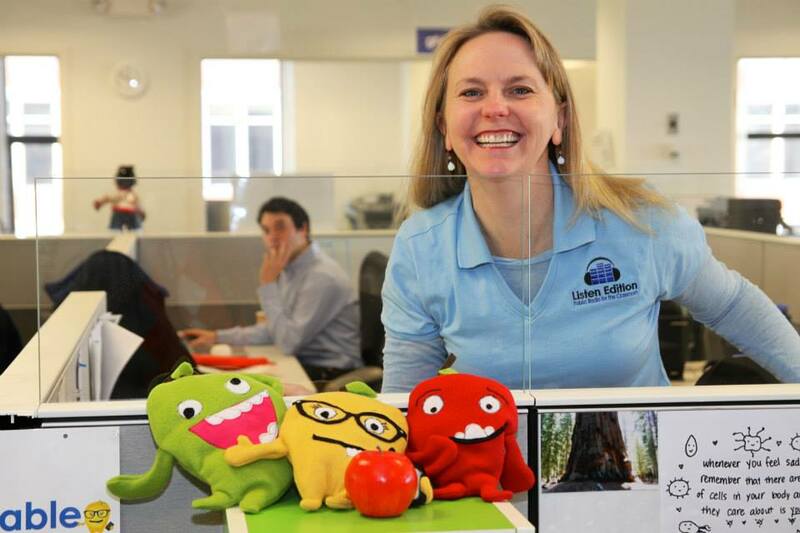 Our friend and Listen Edition founder Monica Brady-Myerov poses with the Gradeable apples. Aaand back to work we go. 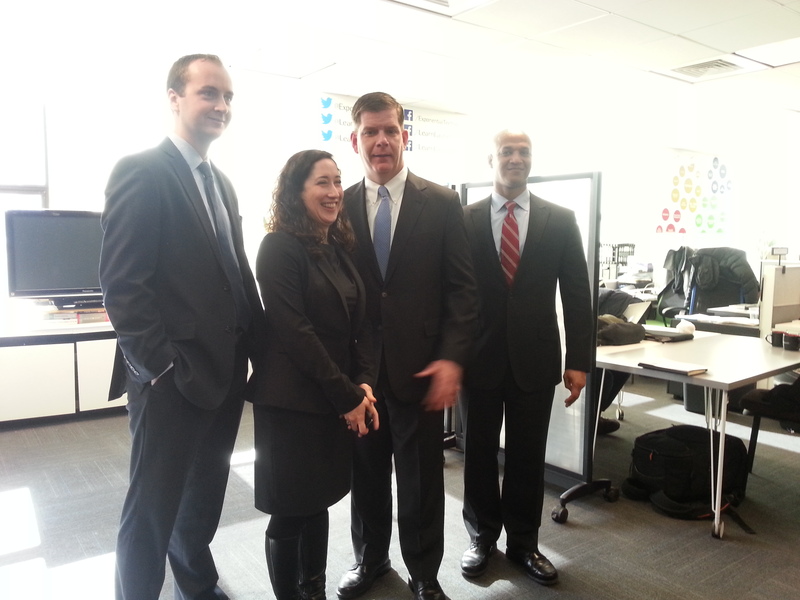 For more on Mayor Walsh’s visit, see EdTech Times.